I came across $100 Target gift card for sale on eBay for $90 (thanks to Zach). It is a deal for selling you $100 Target gift card for $90. Let us assume here everything is legitimate and not add other external factors. Can you think of why anyone would take less than face value of the gift card? On the other hand, can you think of a scenario when someone would refuse to a fair trade of $100 cash for $100 Target gift card? Looking at the seller and number of deals sold, this is a case a wholesaler who likely struck a deal with Target to get $100 gift cards for less than $90 and trying to make a profit. For Target such a deal would make sense because of assured $100 sale (it is as if they are giving, say, 20% discount) and there is always breakage (people not using full value of gift cards). Seems like rational automatons making spreadsheet driven decisions. Now how about refusing to trade even for fair value? A while back I wrote about a case of Target gift card. It was an offer for you to trade a $20 Target gift card for cash that is lot more fungible than a gift card. I offer to take that gift card from your hand for cold hard cash – cash that is lot more flexible than the Target gift card which has the limitation that it can only be spent at Target. There exists a scenario where the gift card guarantees more hedonistic pleasure than fungibility of cash that creates conflicts. Applying Prospect Theory, a gift card represents money that is already spent. So there is less or no additional pain from buying things with it. When you trade it in as cash it becomes “unspent” and creates more pain (Prospect Theory) when you buy things with it. Furthermore, if it is a gift card you know you have to spend and there is no mental conflict. When it is cash, the very fungibility creates choices – could you be paying rent or saving that money instead of spending it? That is where some will refuse to trade in their gift card for cash. Here’s how it works, according to one industry consultant describing an actual sweater sold at a major retailer. A supplier sells the sweater to a retailer for roughly $14.50. The suggested retail price is $50, which gives the retailer a roughly 70% markup. A few sweaters sell at that price, but more sell at the first markdown of $44.99, and the bulk sell at the final discount price of $21.99. That produces an average unit retail price of $28 and gives the store about a 45% gross margin on the product. So if you wonder what happens to the sweater for its price to go down from $50 to $21.99 at 6AM Friday after Thanks Giving and then back up to $30, the answer is nothing. It is the customer mix that changes helping retailers price discriminate (legally) and maximize their profit. One such way (to price discriminate legally) is changing the buying experience. Create enough pain in the buying experience , like asking them to skip sleep, wake up early and schlep to the store at 6AM, such that most (if not all) in the 60 to 100 range will find it not worth it, just for getting additional consumer surplus. That is why there is a 6AM deal. Most in the 30 to 59 range will likely do that sacrifice to score the sweater at lower price. The title is a quote from one of the retail managers we will meet later in the article. Write down whether or not you agree with this quote before reading further. If you look at it carefully, it is not difficult to see that retailers should have no pricing power. After all they are just the channels. They do not know why the end customers are buying the products (What job is the customer hiring the product for?. They do not make the products and do not take the risk of investing in R&D, design, supply chain etc. They do not build the product brands and take the marketing investment. But they do add one important value – connecting the producers with their target customers and enabling customers get the products they want, providing convenience, service, experience and information to make informed decision. So they get their a share of the value from the producers in the form of low prices they pay to producers or taking a cut of list price (think 30% fee by Apple or Amazon for Apps). They can choose to share some of this value with end customers in the form of price discounts. They can choose all of the value and more for certain products in the hope of making up for it from selling other products at fuller prices (Loss Leaders). 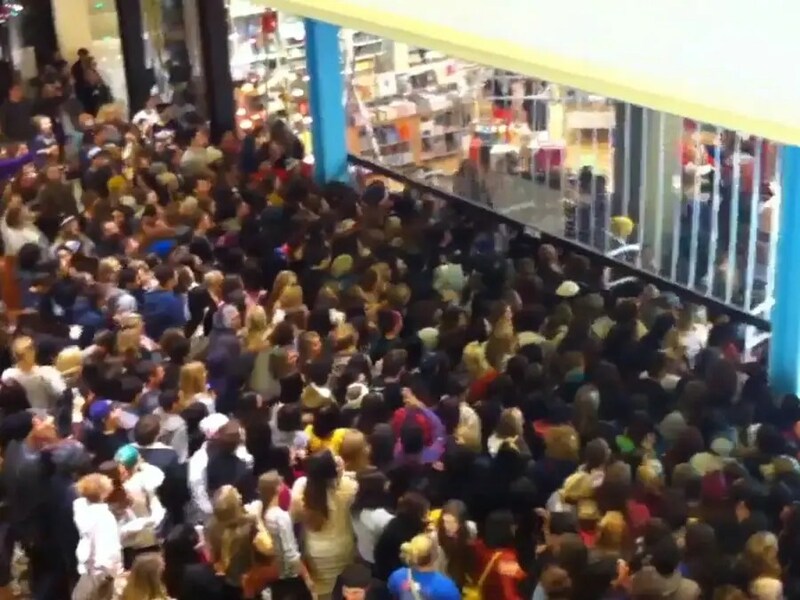 What we see with Black Friday deals is even deeper discounting and far too many loss leaders. Let us stop and take a careful look at this. The only reason we see mob scenes on Black Friday is the deep discounts. Given that customers are willing to shop anywhere and if needed stay in long lines just for lower prices, how can you expect any loyalty? If they were attracted by deep discount, and ONLY deep discount, to come to Best Buy, what makes you think they will remain loyal when some other store offers same or deeper discount in the future? This brings us back to second part of the question we did not address on value add – what unique value does the retailer, the channel, add to end customers? When they have no products, no brand power or a compelling unique value to offer and compete only on price, they should not be rationalizing their discounting with hopes of future loyalty. 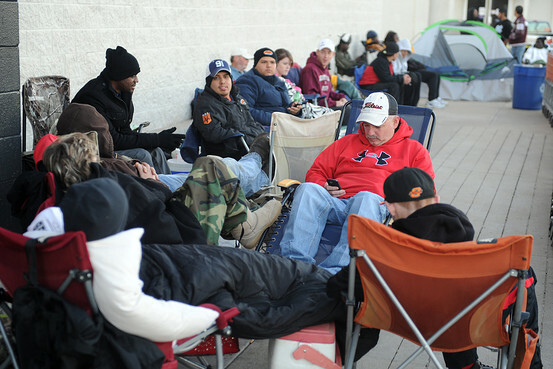 The deal seeking Black Friday shoppers, having scores their 60-inch flat screen TVs have moved on. Nothing other than even more discounting will bring them back. The Point of all the discounting is not to earn shopper’s loyalty but a reality forced by the channel’s lack of value add to its end customers. What happens to the sweater from 6AM to 9AM for the price to double? Sometime during many of the obligatory Thanks Giving conversations, an elderly relative loudly wondered about the mysteries of Black Friday pricing. The sweater costs $29.99 at 6AM but if I buy the same sweater at 9AM it is $59.99. I mean, come on. It is the same sweater! What happens to the sweater from 6AM to 9AM that makes it double in price. She likely was just making a conversation. Or a philosophical observation expecting others to simply marvel at her astute comment that everyone else seem to have missed. The answer is boring (I still have not mastered any party tricks on pricing to entertain people). Let us limit the answer to the specific question and not mix it with loss-leader pricing. Simple answer, nothing happens to the sweater. Yes, it is the same sweater. It is the mix of people (customer mix) that changes from 6AM to 9AM (or later). As customers we all have different prices we think is fair to pay for the sweater. Here, by fair I mean the price that we willingly pay without feeling pain. Let me use a very simple example with hard restrictions to explain why the price doubles from 6AM to 9AM. Let us say there are only 100 people, numbered from 1 to 100. Each person is willing to pay a price that is less than and up to their number ( person numbered 10 willing to pay up to $10 etc). Even if it is a penny less, they will buy the sweater at the price. Let us also assume the sweater costs the store $9.99 to buy. If the sweater is priced $59.99 all the time, all those numbered from 60 to 100 will buy it, netting a profit of $2050 for the store. If the sweater is priced $29.99 all the time, all those numbered from 30 to 100 will buy it, netting a profit of $1420 for the store. Note that all those numbered 60 and above will still buy it at this low price (the difference between their number and the price they pay is heir consumer surplus). The problem is these 100 people don’t show their numbers to the store and even if they did the store cannot force them to pay based on their number. But what if there is a way to separate most of those of those in the 30 to 59 range from those in the 60 to 100 range? Conversely what if there is a way to keep most of those in the 60 to 100 range to pass on the $29.99 deal? One such way is changing the buying experience. Create enough pain in the buying experience , like asking them to skip sleep, wake up early and schlep to the store at 6AM, such that most (if not all) in the 60 to 100 range will find it not worth it, just for getting additional consumer surplus. That is why there is a 6AM deal. It is not ideal. Not all numbered 30 to 59 will come at 6AM and some from 60 to 100 may sacrifice sleep and family time to come at 6AM. As long as there are at least 5 people numbered between 30 and 59 come at 6AM for every 2 people in the 60 to 100 range, the store will do fine. So there you have it. That is a simplified definition of price discrimination, customer willingness to pay and price versioning. Try explaining this to your elderly relative.